Join Lisa Ryan with Mike Domitrz discussing RESPECT in the Workplace. Find out specific approaches that are vitally important to integrating respect in the workplace. Lisa Ryan helps organizations develop employee engagement strategies that keep their top talent and best customers from becoming someone else’s. 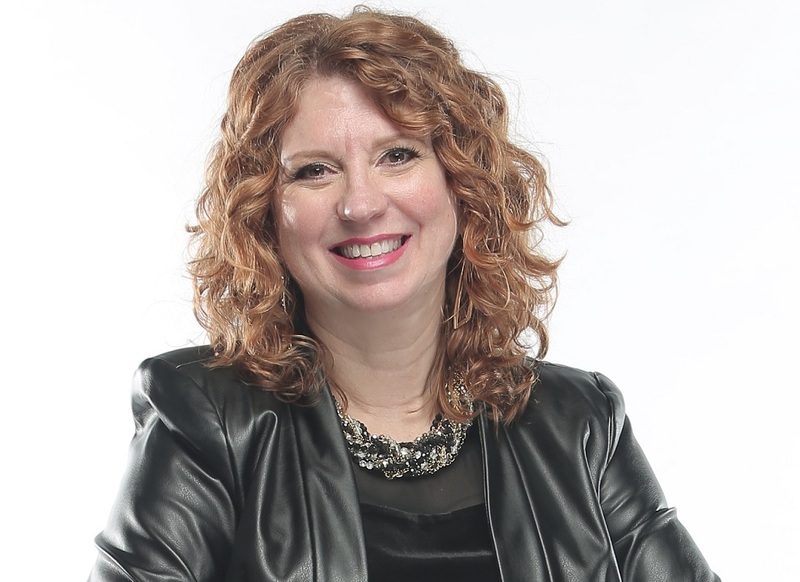 Lisa is a gratitude expert, award-winning speaker and best-selling author of ten books, including “To Have and To Hold: 101 Smart Strategies to Engage Employees.” She is Past President of the National Speakers Association, Ohio Chapter, and received her MBA from Cleveland State University. Mike: Welcome to The RESPECT Podcast. I’m your host, Mike Domitrz from mikespeaks.com, where we help organizations of all sizes, educational institutions, and the US military create a culture of respect, and respect is exactly what we discuss on this show, so let’s get started. Mike: This week’s guest is Lisa Ryan. Lisa helps organizations develop employee engagements strategies that keep their top talent and best customers from becoming someone else’s. She is a gratitude expert, award-winning speaker, and bestselling author of 10 books, including To Have and To Hold: 101 Smart Strategies to Engage Employees. She’s also past president of the National Speakers Association Ohio Chapter, and received her MBA from Cleveland State University. Lisa, thanks for joining us on The RESPECT Podcast. Lisa: Well, thanks so much for having me. Mike: Absolutely. Let’s get right into it. How does respect play in the workplace? Lisa: To have really good connections between people, they have to feel that you respect them. You don’t necessarily have to like everyone, but to acknowledge them for the skills, the knowledge, the expertise that they bring to the workplace, that is critical in making those connections happen. Mike: And how do you get people to do that, to actually treat each other with respect in a workplace where they feel, “Hey, I’m here for my goals, they’re here for their goals”? Lisa: Well, my company, which is called Grategy, stands for “gratitude strategy,” so in my world, everything comes down to gratitude. It comes to looking for the good, and when you start with a gratitude practice that we could spend hours talking about, but you start to look for the good in people. So, say you have a person that, for whatever reason, you just get along with. It’s like, what if I challenged you to find one good thing about that person, and it’s like, “Lisa, there ain’t nothing good about that person.” All right, if you had to pick something about that person, what would it be? “Um, I don’t know, she wore cute shoes yesterday.” You start there, because when you start to acknowledge people, when you’re able to look for the good, it starts to change the energy around that relationship, and over time, it does change the relationship. Mike: How does that … So that’s in the workplace. What about in our personal life? What about the neighbor next door? Lisa: The neighbor next door, it’s the exact same thing. It all comes down to connection. Mother Teresa once said, “We’re more starved for appreciation than we are for bread.” So whether that works, and actually, with our neighbor, with our spouse, with our significant others, with our children, when we can go and find the good in those people, and let them know that, “Hey, I appreciate you,” “Hey, I respect you,” “Hey, I love you,” and say the words that often we take for granted, working on that in our personal life then actually helps us to bring that better, less-stressed person into the workplace. So it really is part of a whole picture. Mike: Let’s say a parent’s at home, and they’re having a rough day with their kids. The kids aren’t listening. Let’s say they only have one, and it’s giving them an attitude. How do they even take a breath to … Like, do you have an exercise to give them to take a breath and start with the breath? Because in that moment, they’re in total frustration. Lisa: The breath definitely helps that person, and this is not a “press the easy button and everything’s changed,” because the thing is that when you’re tired, when you’re frustrated, that’s probably the wrong time to start a new practice, so we’re starting before that, of changing the conversation. Let’s say little Johnny comes home from school. Instead of saying, “Well, Johnny, how was your day today?” and Johnny, of course, because we’re wired for negativity, “Well, Billy was mean to me, [inaudible 00:03:58],” instead, “Johnny, tell me something good that happened today.” Now, the first time you ask Johnny for something good, Johnny’s going to look at you like you are insane, like, “What happened to you? Who are you?” But we just start to change the conversation. Lisa: Many people, and there’s lots of research on gratitude, but it also works with children, that children that have some kind of gratitude practice, that are trained to look for the good, fare better than kids that don’t. And in this immediate gratification society that we live in, when Mom and Dad take the time with the kids to say, “Okay, let’s …” We’re sitting down to dinner, or we’re getting ready for school in the morning. “Let’s look at something good. Let’s look for those things that we can be grateful for.” And over time, it becomes that habit. Lisa: I had one of my clients that they started doing with their kids before going to bed, they would just do their gratitudes right before bed, and on the days the parents forget for whatever reason — you know, their plates are full — the kids are like, “How come we’re not doing our gratitudes?” So, even at the beginning where they may be resentful, they may be, you know, “Oh, this is stupid, why are we doing this?” Over time, it becomes a practice, it becomes a habit, and it starts to change those relationships. Mike: How do you get someone in the workplace to even begin to attempt at home? How do you inspire them or give them a bit of a catalyst to do that, versus going, “I’m not messing with this”? Lisa: So first, writing them down, verbally, then we have the thank-you note and the letter of appreciation. In the world according to Lisa Ryan, the thank-you note is, you know, “Thank you for something.” Thank you for dinner, thank you for the gift, thank you for something. The letter of appreciation is “Thank you for being you.” Thank you because that you’re in my life; this is the difference that you make. And then the fifth way is to reflect on or meditate on gratitude each day. Lisa: So, getting into the habit. I used to do — and actually, I’ve been asked to bring it back again — an official 30-Day Gratitude Challenge, where people would use the five thank-yous a day challenge, and then the funniest part was, after the 30 days were over, I was getting these emails of people saying, “I’m so sorry that the 30-Day Challenge is over, because I really liked keeping my gratitudes.” I’m sitting there thinking, you know, that was part of my evil plan, that you get into the habit of doing it, and then you see the difference, and not only do you see the difference, but the people that associate with you also notice the difference. I had one guy who I interviewed after the gratitude challenge, and his wife came up to him and said, “What’s going on with you? You’re not nearly as grouchy as you used to be.” So, whether or not you feel the difference, other people will also notice. Mike: Well, and it’s important, and we notice what we’re being grateful for. What I mean by that is the compliment, you know, telling somebody, “I’m grateful for this.” In the workplace, when we’re doing our program at corporations and associations, if you ask somebody to come up and say, “Say something nice to this person,” they 99% of the time will go to appearance. Mike: So, to be the more specific and say, “That insight you shared right there, that was so brilliant, that helped me go down this path,” and be that intentional with the gratitude, can really allow it to connect human beings. Lisa: Right, exactly, because really, what gets recognized gets repeated, so when you’re telling that person, “Thank you, your insight, the relationship that you have with your family, the fact that you share,” whatever it is, that we’re looking at actions. Because I speak to a lot of manufacturing associations where there is mostly men in the audience, and when I use accepting a compliment, I do a whole thing on the ability to accept a compliment, but the thing is, because we focus on appearance, in the workplace, that can get a little hairy with all of this. So it’s focusing on the actions that that person did, whether or not you like their dress or you like their … Whatever they’re wearing, when we’re focusing on the physical attributes of a person, sometimes that can get us in trouble. Lisa: Right, right. Well, and the thing, the other thing that you’re doing when you’re being specific and recognizing that colleague, and recognizing that employee, is they know that you’re paying attention to them. You’re not just going because, “Oh, I went to this program and Lisa Ryan said I needed to thank five people. Okay, thank you, thank you, thank you, thank you, thank you. Check, done.” Where instead, I’m specifically focusing, and now my employees know that I’m not only getting on them when something goes bad, but I’m also paying attention to what’s going well. Lisa: I was at one of my programs, and a guy came up to me afterwards. He said, “You know, Lisa, when I do something wrong, I get recognized 100% of the time, and when I do something well, it’s rare that I get acknowledge.” And studies, I mean, there’s lots of studies that are out there that show that a lot of times, it’s about 42% of employees have been recognized for the good work that they’ve done by their manager in the past year. Year! That’s insanity. We change the workplace when we start to look for people and catch our employees doing things well. That’s when we can change the culture. Mike: Well, yeah, and we all know the research shows people don’t leave jobs, they leave bosses. They leave poor leadership. And so the question becomes, if you’re listening to this, “How can I be a positive leader? Even if there … Maybe I’m on the … You know, I’m the lowest rank in the situation, how can I still bring positive leadership to that environment? How can I show respect for those I work with?” And this becomes an important part. Now, someone will sit there and go, “Well, when it comes to companies and respect, it’s all about the bottom dollar, it’s all about profit.” So, how do you help that person realize respect has a lot to do with profit, with the bottom line? Lisa: You know, when you … Because I run into those same managers, you know, “Why should I thank my people for doing a job? Isn’t that what a paycheck’s for?” It’s like, you know what? If you want your people to do exactly what you pay them for, if a paycheck is all it’s about, they will do exactly enough work so that they don’t get fired, because you’re probably paying them exactly enough so that they don’t quit. If you want that employee to give you their best efforts, to have that best friend at work that Gallup says is one of the points of an engaged employee, that brings their best, that gives you their blood, their sweat, their tears, then we look for ways to acknowledge our employees. Lisa: Then we look for ways, and it doesn’t matter if you are at the bottom of the totem pole when it comes to the corporate ladder; every single person in an organization can make a difference, and it’s just in that language. It’s “I appreciate you,” it’s “Thank you,” it’s “I respect you, I respect what you bring to this workplace.” I’m catching you doing things right, and I’m looking for your strengths, instead of always trying to fix what’s broken. If I’m always trying to fix what’s broken, and I’m bringing that negative, toxic energy with me, my people are going to leave. They’re going to go down the street for 50 cents more an hour. Why would they stay? Mike: Yeah, and I’ve seen the opposite, where somebody’s in a work environment that they feel loved, they feel respected, and they have a gift and a talent, they really should be an entrepreneur. Everything about them says they should be on their own, and they would be incredibly successful, but they won’t leave, because of the love and respect they have, and they don’t want to leave that. That’s when you’ve created a chemistry of … Your best will just shine from within. Even when they’re so good they could shine on their own, they’ll stay. Because you can’t buy that, you can’t buy genuine respect and admiration and appreciation. Lisa: And what oftentimes will happen is that somebody will be working at an organization where they feel loved and connected, and then they believe that all companies must be like this, so they leave that company for a better opportunity, and then they realize that they’re just another number, that they’re being treated like crap, that they don’t have the same thing. And then we have that boomerang effect, that now that employee that we love, that we trust, that we had this relationship, now they want to come back to us, and we have somebody that’s already trained, that’s already in the flow. And so, when we don’t … You know, we’re always in that “grass is always greener,” so if we have it and the grass is really green, we’re going to think, “Hey, that’s going to be better,” and then we find out that it’s not, because we’re with a unique organization who is respecting us, who is treating us with gratitude, and it doesn’t take a lot to do that. It just takes that sincere effort, and that’s the key, it has to be sincere. Mike: Well, yeah, and I think of my friend Sam Silverstein. He wrote a book about Happy State Bank, and it’s all about the company’s core values, and how you live them. And this is the epitome of “Do you live with respect for your employees?” You know, for years, it was always “The customer comes first.” Many organizations now are saying, “No, our employees come first, because if our employees come first, they’ll make sure the customer is taken care of. They will genuinely show love and care and consideration.” If we’re saying “customer first,” and I have miserable employees, what are the odds that customer feels like they’re first, when they’re in front of a miserable employee? So I think something for people to challenge themselves, to go, “What are your core values in your organization? Do they bleed respect and appreciation? Do they tell us that every day, we practice respect and appreciation?” In your home, do you have core values for your family, and do they bleed respect and gratitude for your family members? Lisa: Well, and you look at it, if you have a corporate mission statement, you know, that you and your leadership came, and you sat together, and you came up with this grand plan for “This is our organization, this is who we are,” if I took that to your employees and I read your mission statement to your employees, would they laugh, “Yeah right,” or would they say, “Yes, that is our core”? Is it like the Ritz-Carlton of “ladies and gentlemen serving ladies and gentlemen,” that they know that to the core of their being, or is it just words on a wall because it looks good? This is where we get the buy-in, when we live our mission, our values, when we demonstrate that, and when our employees are part of the process. Lisa: Because you’re right, the numbers show that. When it comes to taking care of employees first, the happier your employees are, the more empowered they feel to take care of the customer instead of jumping through a lot of hoops, that you’re trusting them, that you respect them and their ability to make good decisions. That’s where the emphasis needs to be, because that’s how you’re going to then … You’re keeping your top talent from somebody else, from becoming someone else’s, and that top talent’s now going to help your customers from becoming someone else’s as well. Mike: Yeah, and draw in more top talent, right? Mike: If you’ve got all rock stars, it’s easy to get another rock star, because they want to be around rock stars. Mike: You see it in professional sports all the time, where this superstar takes less money to go win the title with the winning team. Why? Because they want to be around winners. People will take less, will give up, will sacrifice to be part of a winning experience. And winning doesn’t have to mean more money, it means that I feel like this is something special that I’m part of here, and that is priceless. You’re right, though, that if it’s forced, it’s a different ball game. In the military, when you’re doing trainings, they’ll say, “That briefs well.” Now, “That briefs well” means nothing’s going to actually happen after this brief is done. It sounds awesome during the briefing, but none of this is actually going to happen in real life. And I love that term, because … Right? It’s about only in the brief is this logical, nothing about this is outside of. And that’s what I love about being able to have this conversation on the podcast, is how do you make all of this applicable? So how do we catch ourselves from losing sight of that? Lisa: Boy, there … It really becomes a conscious effort, and that’s why I always start with the personal practice of gratitude, or something that you’re doing personally, so you start to see the benefits of it. But in the workplace, Marcial Losada did a study where he looked at high-performing teams, and he watched them communicate, and what he saw was a six-to-one positivity ratio. So basically, for every one negative thing that somebody on that team would hear, they would hear at least six positives. Now, this wasn’t like, “Oh, yay, everything you do is so well,” this is, “You know, that’s a really great start of an idea. How can we expand on that?” Again, it goes back to respectful communication. Lisa: On an average-performing team, he found it was three to one. For every one negative, they heard three positives. He found that this was barely survival. This is your employees are doing enough work so that they don’t get fired, you are paying them enough so that they don’t quit, even balance. But on a low-performing team, it’s .3 to one, so they’re hearing three times more negatives. It’s almost like that old poster back in the day, you know, “The beatings will continue until morale improves.” It doesn’t work. Lisa: So we start with some kind of confession, something of taking that responsibility that this is important to me, and this is important to us as an organization, that I’ve been … I really want to get better at it. And then, the thing is that you keep doing it, because gratitude, respect is not one-way. “Well, I said thank you to her, and she never says thank you back,” or [inaudible 00:21:46]. It doesn’t matter. You can’t influence … The only thing, the only person that you can influence is yourself, so you start to look for the good, you start to change. Lisa: I had one of my clients, he was … I don’t know if he owned a John Deere dealership; let’s use that for an example. And every morning, he’d walk in and he’d see Bob, and he’d say, “Morning, Bob,” and Bob would say, “What’s so good about it?” “Morning, Bob.” “What’s so good about it?” “Morning, Bob.” “Morning.” “Morning, Bob.” He never let Bob’s attitude change his good morning, and even though it didn’t seem like it, Bob heard him, and over time, his relationships changed. Because the thing is, we don’t know what Bob’s home life is like. We don’t know if this guy, this manager was the only positive thing that Bob ever came into during the day. So that’s what I’m saying: Each of us has the opportunity to make a positive influence. Whether or not we feel that that other person is hearing us, they are. Mike: Absolutely. And what’s powerful about that — I love that Bob story, by the way, that’s fantastic — is when you say to somebody, “Do you believe that we should treat all people with dignity and respect?” almost everyone says yes. “Okay, are you doing that for the one that you hate next to you at work?” “Well, no.” “But you just said ‘all people. '” “Well, not them.” “Well, no, all people or all people?” Which means I … Not only that, I could take it deeper. What if I treat you with love and compassion? So it starts with respect, and at the ultimate form of respect is to treat everyone with love and compassion. And so, what if I could treat you with that, so no matter how bad your day is, I’m compassionate because you’ve had a bad morning before that point, right? Mike: And that’s not giving up on Bob, so that was a brilliant example. What do you think are the barriers that stop people from continuing, that make it so easy after the 30 Day Challenge to stop doing the gratitude exercises? Lisa: You forgive yourself, you move on, which is why I also recommend journals without dates in it, because if you forget a couple days, then you have to feel all guilty and go make up stuff for a couple days to fill it in. Oh, no. Just get a journal without dates, and start the practice, and if you get away from it, or a lot of times in my programs, I’ll ask, “Who keeps a gratitude journal, show of hands?” And I get a lot of “Well, I used to. Boy, I should do that again.” You know what? Forgive yourself, move on. Every single day, every interaction is a new interaction, so just because you got away from it, just because you had a couple bad days, doesn’t mean that you can’t start fresh and reconnect with that person. Mike: I love it. In addition to your 10 books, what would be an additional book that you haven’t written that you thought had a powerful impact on that journey for you? Lisa: Wow, there’s so many. Probably, as far as establishing relationships, my two books in my top five are Think and Grow Rich, because of course, that changes the way that you think, but Dale Carnegie’s How to Win Friends and Influence People, I mean, number one, taking my first Dale Carnegie class is what made me want to be a speaker back in the late ’80s. But even the little reminders that Dale Carnegie gives you, of “The most precious sound to any person is the sound of their name,” of just remembering those connections, and establishing that relationship with people. Lisa: Especially if you’re in top leadership, and you’re working in a plant, and you’re walking through the plant, and you can say, “Hey Bob, hey Susie, hey Gary,” these people are going, “Wow, the president knows who I am.” It’s these little things that make a huge difference, that build those connections. So again, doesn’t take a lot of effort, doesn’t take a lot of time, but if you make that conscious decision that I’m going to be the positive light. Lisa: Because the other thing that, you know, you may have that … Our relationships come down to moments, and sometimes they’re good moments, and sometimes they’re bad moments. And just because you’re having a bad day, “Well, she just needs to understand I’m having a day,” no, you just created a moment that could destroy that relationship. We look to coming from respect, we look for coming to compassion. That old thing that Mom used to tell us, “Count to 10 before you lose your temper.” You know, leave the email for 24 hours before you press send. Do something so that we never create a moment that is going to destroy the good that we’ve done to build that relationship. Mike: I love it. That’s a powerful ending, Lisa. Thank you so much for joining us. Lisa: You are very welcome. Mike: For everyone listening, remember you can find Lisa at lisaryanspeaks.com. Thank you for joining us for this episode of The RESPECT Podcast, which was sponsored by The DATE SAFE Project at datesafeproject.org. And remember, you can always find me at mikespeaks.com.